On a typical office visit, you will again be greeted by our awesome front desk staff. They will assist you, if needed, in signing in electronically. Then you will be directed to the adjusting area when ready. You will notice the adjustment itself is very specific and will only take a few minutes. The adjusting area is a semi-open concept but if you have any concerns that need to be discussed privately, please let us know and we will be sure to accommodate you. 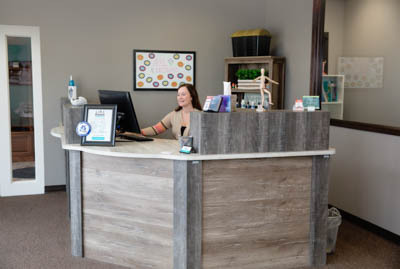 After the adjustment you will take you file back to the front desk and schedule your next appointment. You will notice that typically the appointments are scheduled closer together in the beginning as we work to put you back on track to health and wellness. Don’t wait for symptoms to appear! Call our Davenport office today!